Traxxas, The Fastest Name in Radio Control® is the number-one selling name in Ready-To-Race® nitro and electric radio controlled (RC) vehicles. Traxxas is dedicated to innovative thinking and fun designs that make it easy for anyone to get started in radio control. Traxxas products include trucks, cars, speedboats, and helicopters as well as a full line of accessories for a completely personalized experience. Prices start at less than $150 with over 25 performance models under $350. Traxxas has been engineering and building the world’s fastest and most innovative Ready-To-Race® radio-controlled performance machines since 1986. Traxxas models are fully assembled with powerful, feature-rich radio systems and are Ready-To-Drive® in just minutes, including the 100mph Traxxas XO-1 supercar. Traxxas performance, durability, and world-class customer support all come together to deliver an award-winning radio-controlled experience that’s designed to last for years of fun. Short Course Performance on a Whole New LevelThe Traxxas Slash defines the Short Course truck segment and sets the standard for durability, performanc..
LaTrax Teton1/18 Scale 4WD Monster Truck2.4GHz Radio SystemWaterproof Power System for All-Weather Driving ExcitementRugged Off-Road Monster Truck Fun.. Spare Axle Shaft Front LeftFits on TRX-4 Chassis.Part. Nr. : TRX8228.. Spare Gear for portal drive of TRX-4 chassisPart. Nr. : TRX8257.. 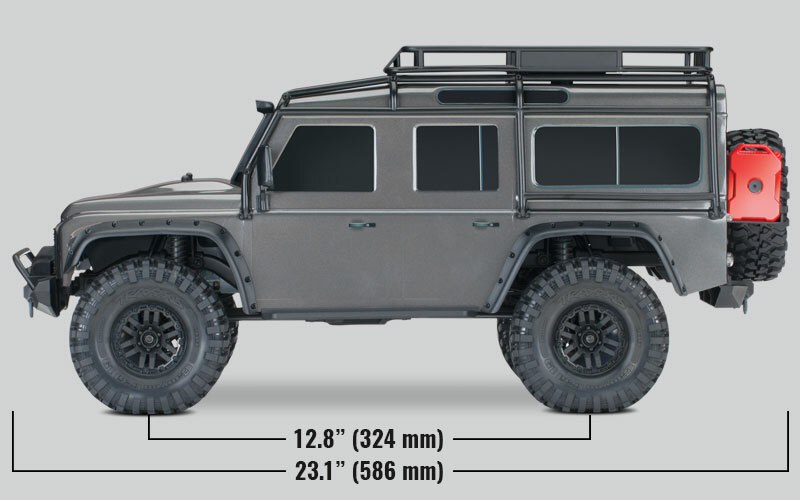 LED light bar Rigid, TRX-4Afraid of the dark? Don't be this lightbar has two light options.Bright and even brighter! So defeat the dark and keep on cr..
Traxxas Land Rover LED Light KitIn the dark it's not so easy to see where you're heading.So make sure you have enough lights on the track so you can k..
Traxxas LED lights, power supplyThis is the power supply needed for the traxxas LED light kits 8025, 8026, 8027.Part No. : TRX8028..
Traxxas TRX-4 Defender Decals Set TRX8012Replacement decals set.Part No. : TRX8012.. Spare Axle Shaft Front RightFits on TRX-4 Chassis.Part. Nr. 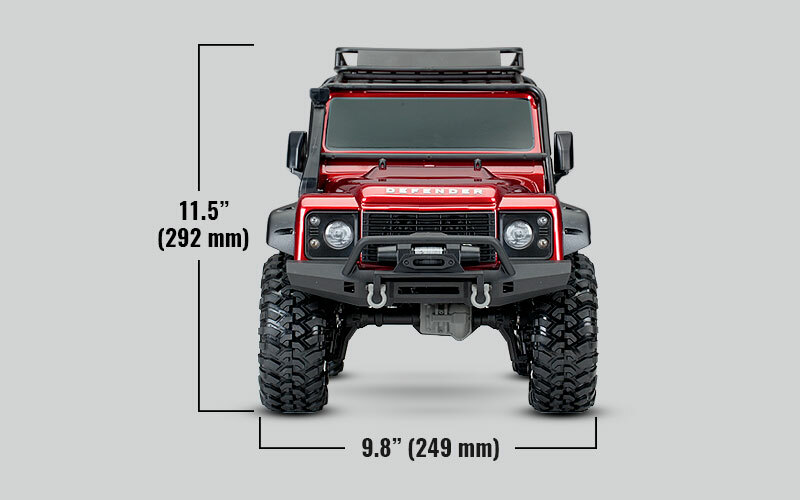 : TRX8229..
TAKE THE PATH LESS TRAVELEDThe Traxxas TRX-4 Sport is an all-new Traxxas design that is loaded with innovation that instantly obsoletes the .. The Venture FJ Cruiser is the ultimate adventure-ready scale RC trail truck. Developed from the ground up to be the most advanced and driver-friendly ..